This workshop will help participants experience chant as prayer and practice, learning both its spiritual and technical aspects. Through singing, listening, and writing, we will study the components of chant, including Gregorian notation, modes, rhythm, psalmody, and sight-reading. We will explore Roman, Orthodox, and Anglican chants as well as learn strategies for legato singing, breath control, and blending one’s voice with a group. The workshop is open to all; the ability to read music is not required. Includes lunch. Marguerite Mullée, Ed.D., is a graduate of Columbia University where she earned a doctorate in Conducting and Vocal Pedagogy. 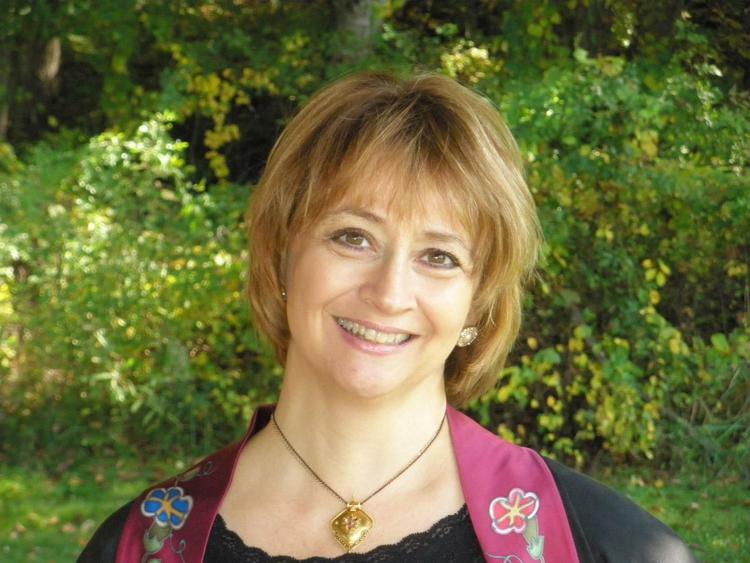 She serves as Professor of Liturgical Music and Sacred Art at Holy Apostles College & Seminary in Cromwell, Connecticut, and as Music Consultant for Our Lady of Grace Monastery in Guilford. Her lectures and workshops are in high demand across the region from Shakespeare festivals to opera houses. In 2004 she was honored to present the annual Thomas Aquinas lecture in Sacred Music at UConn Storrs and in 2008, she was awarded a Statement of Recognition for Musical Excellence in Connecticut from Governor M. Jodi Rell.